Since 1998 The Oxford Ski Company has been providing the ultimate in luxury skiing holidays. In 2011, based on an increasing demand from clients and such extensive experience working with the best privately-owned ski chalets and hotels in the world, OS Private Travel was launched - bringing the same approach to amazing properties and exceptional customer service to the non-ski market. Since then, we have fast become industry leaders at the forefront of the luxury travel world, becoming especially renowned for our market-leading luxury villa specialist status, as well as the outstanding service offered to our clients. Due to the nature of our client relationships, and our position within the industry, we have also developed a thorough and highly regarded knowledge of the global luxury hotel market, and a detailed expertise of world-wide high-end destinations. It has therefore been a natural progression to develop a hand-picked, exclusively select portfolio of hotels, in some of the most spectacular holiday destinations and cities throughout the world - and this, along with ATOL bonding in order to sell flights and 'package' flights and hotels to create luxury hotel based holidays, has created the next evolution of our success. So in late 2014, we have re-branded as Oxford Private Travel and unveiled our new, inspiring website which still features a small selection of the amazing luxury villas, private islands and super-yachts that we know so well, but that also showcases our incredible portfolio of the world's best hotels. Every client is different, and so is every holiday....one person's heaven is another's hell! We take the time to really understand you, your family or group, and, crucially, what you want from a holiday. We deal with a huge range of villa owners and operators, hotels and yacht brokers, yet have no specific loyalties, so you can rest assured that we will always be objective, impartial and honest. Our priority is you and your holiday, and we will advise on the right property and destination for you. As just one call to us gives you access to a huge range of options, we save you many hours of phone calls and Googling. We believe that holidays are precious, and that by booking through us you will end up with the right holiday for you, which also ensures value for money. The Oxford Private Travel team are luxury travel specialists with many years experience. We place great importance on personal knowledge of the properties that we feature, and know our destinations inside-out, so when you speak to one of the team you will be speaking to an expert with extensive, accurate, in-depth and first-hand knowledge. Every property, destination and experience in our collection has been specially selected and tried and tested (often by us!) to offer something truly special - whether it's a location, view, privacy, childcare, character, glamour or service - every property and destination has had to earn its place. We are hard to please and we're not afraid to turn down properties. We take great pride in our ethical, transparent approach to business, offering a straightforward and competitive approach to pricing. In addition, you get great advice, customer service and our extensive concierge service all included in the price for your holiday - but without the hassle of organising it yourself. We are discreet, efficient and have a totally ‘can-do’ attitude.  A privately-owned company, The Oxford Ski Company have been a leading authority in luxury travel since 1998. Many clients come back to us year after year and in a recent survey of over 400 clients returning from their holidays, a unanimous 100% said that they would recommend booking a holiday through the Oxford Ski Company to a friend - experience this legendary service for the rest of your holidays as well - just give us a call.